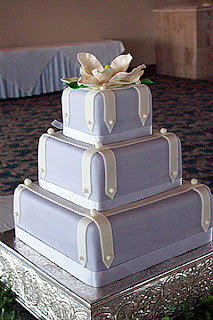 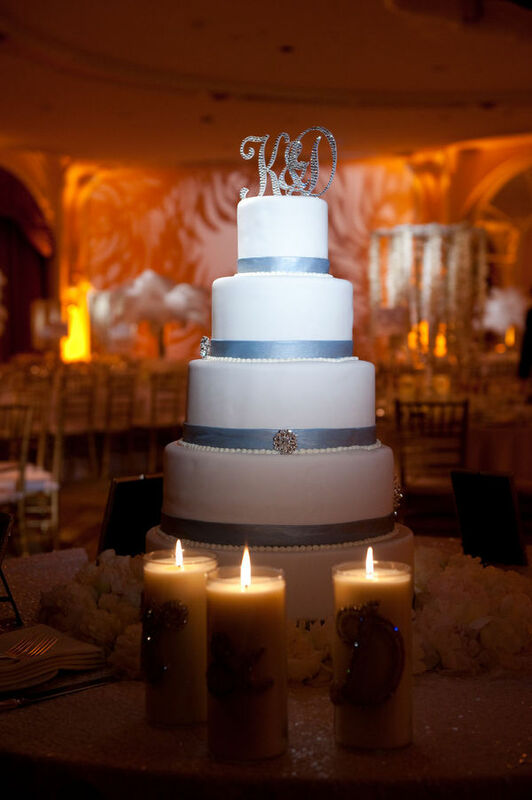 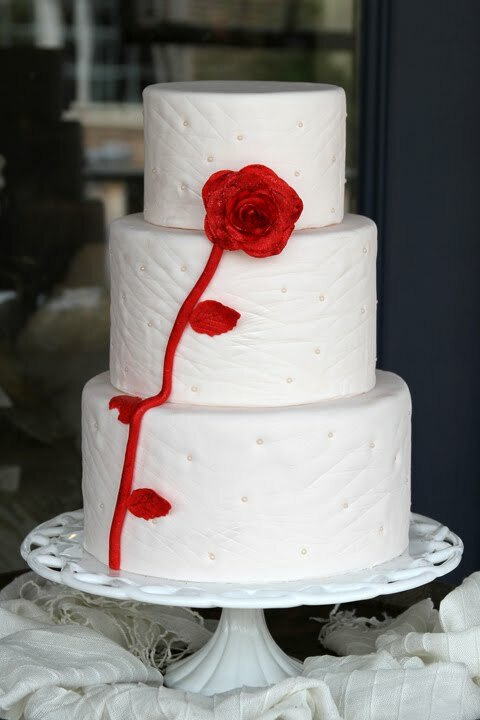 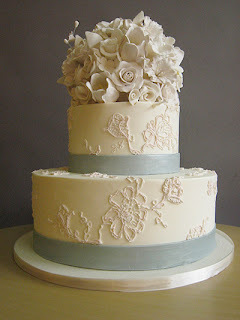 Beautiful classic white wedding cakes with light blue ribbon decorating the cakes in unique, chic and elegant ways. Firstly we have a four tier round white wedding cake in white with blue ribbon decorating the bottom of each tier and topped of with sparkly silver monogram cake topper. 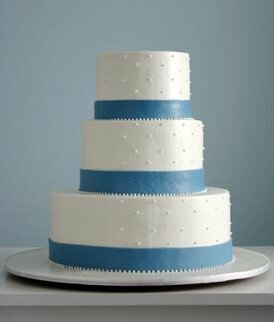 Love the simple elegance of this cute little three tier wedding cake in white with an edible pearl texture and light blue bands made of icing on the bottom of each tier. 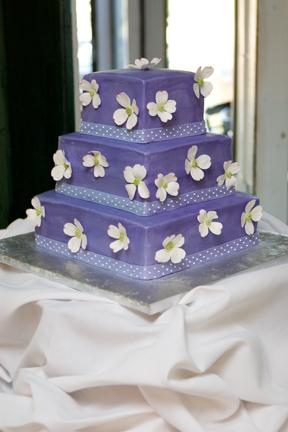 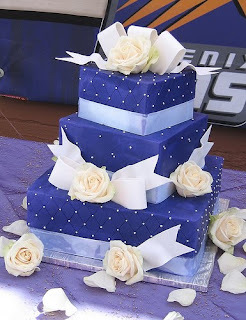 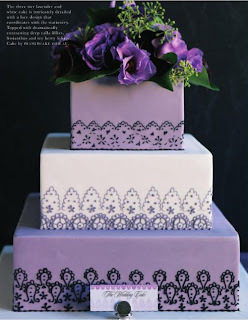 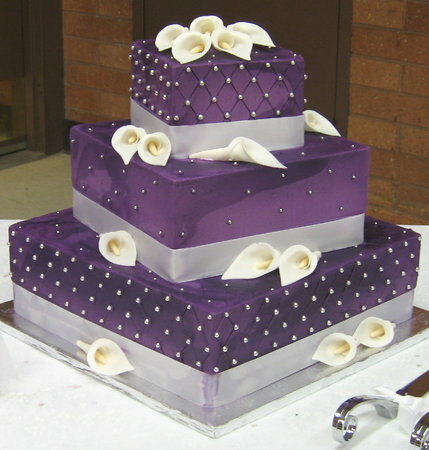 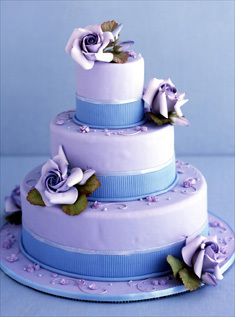 This three-tiered cake is wrapped in lavendar fondant and accented with blue piping and purple sugar roses. 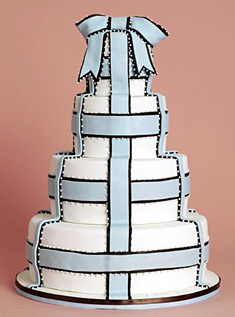 This four-tiered cake is decorated with baby blue-and-brown fondant ribbon in a simple plaid pattern. 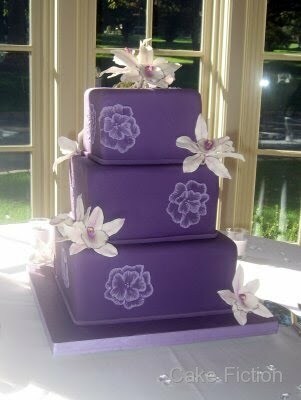 A two tier stunner with gorgeous pure white sugar flower bouquet cake topper. 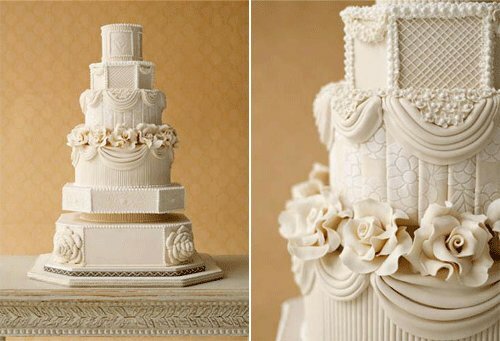 Today we are featuring the gorgeous cake designs of Ana Parzych. What a true cake designing genius! these cakes are just so beautiful, have a look for yourself and see more at her site Ana Parzych Custom Cakes. 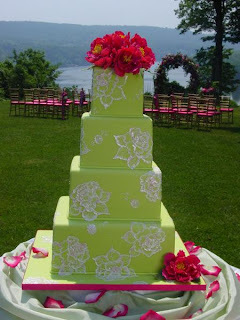 An amazing four tier square green wedding cake with white flower pattern on the tiers and delicate dark pink flowers as a garnish. 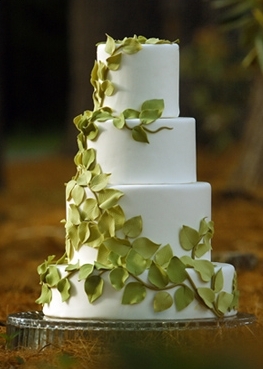 Round white wedding cake with green sugar vine crawling up the tiers. 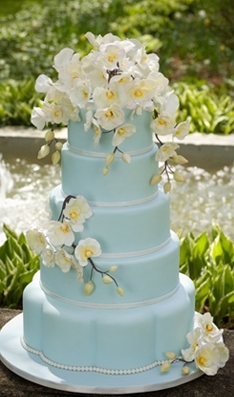 An stunning light blue five tier wedding cake so beautiful and feminine featuring white flowers with yellow centres. 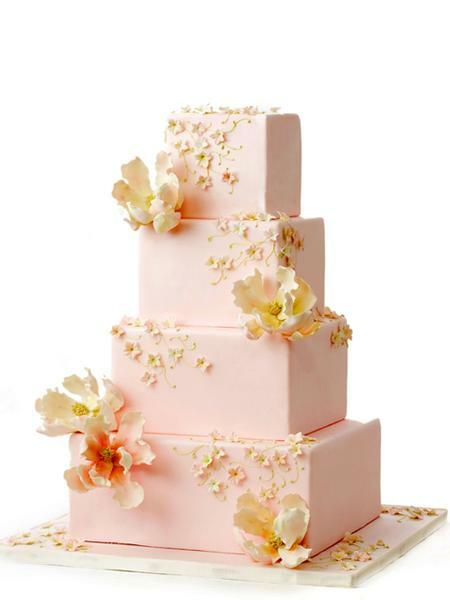 Square cake set over four tiers in a pastel pink with pastel orange sugar flowers. 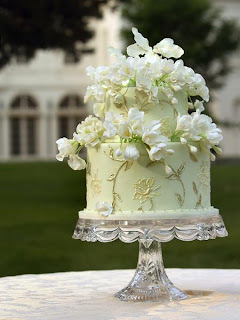 Delicate and whimsical two tier wedding cake in the palest of pastel greens with white flowers.